From the Iberian peninsula, Luys Milan's Pavana & Gallarda was all courtly elegance yet seductive in its sound whilst Antonio de Cabazon's Differencias sobre la Dama le demanda took a haunting, melancholy song with a real depth to the harmony, and then applied some amazing elaborations (Differencias, what the English at the time called divisions) over the top. This mainly gave Jordi Savall a chance to shine again, but the bass viol had its moment too. Diego Ortiz's Romanesca & Passamezzo moderno started almost with Greensleeves before moving more up tempo. The music here was beautifully elegant, and again we had superb elaborations from Savall. Pedro de San Lorenzo's Obra de premier tono de mano yzquierda was a deeply melancholy slow tune over which Savall's treble viol rhapsodised, and the first half concluded with Savall's deeply impressive and rather fun set of improvisations over the traditional Canarios which had a very simple basic structure providing support for his flights of fancy. One of the amazing things about the concert was the sheer joy that the music evinced; this was technically superb playing, but it was also life enhancing and deeply enjoyable. And it seemed strange at first that the players all seemed so deeply serious and sober, the joy was all in their fingers and hands, and faces rarely broke into grins. Sitting in a gentle arc with Pedro Estevan's percussion in the centre, you felt that their posture must be a tribute to years of Alexander Technique so wonderfully upright yet relaxed and flexible were they. For the second half we moved to France and a manuscript compiled by Philidor (King Louis XIII's oboist) of music which he and other members of his family played for the King. We started with a lovely catchy piece, Pavane de la petite Guerre & Gaillarde with two treble viols almost duelling, and then continued through a selecting of beautifully elegant music. Whether fast or slow, and some of the music was remarkably intricate, there was a grace to it and a courtliness which seemed to conjure up the elegant and elaborate dances of the Bourbon court. The composer Samuel Scheidt worked for most of his life in at the court in Halle, even during the 30 years war. We were treated to a selection of dances from his Ludi musici (Musical games) published in 1621. Here again we had a nice variation of tempos and styles, but it was noticeable that Scheidt's approach was always more complex and though clearly dance music there was far more going on than simple rhythm and melody. For the final group we had composers working outside national styles. First was Purcell writing an elegant, inventive German fugue in his rather haunting Fantasia XII, then Juan Bautsta Jose Cabanilles writing an Italian Corrente, swift and elegant. 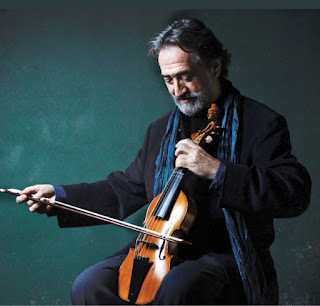 Johann Hermann Schein's Allemande & Tripla was a lively piece with lots of elaborate divisions, Guillaume Dumanoir's Libertas was elegant and graceful and finally Antonio Valente's Gallarda Napolitana with its up-tempo catch rhythms and some real bravura playing from Jordi Savall. The Wigmore Hall was full and the audience response was wholehearted, and we were treated to two encores, first a set of French Renaissance dances ending with a toe-tapping piece which made you want to get up and join in the dance, and then another William Brade piece, The King's Noyse.